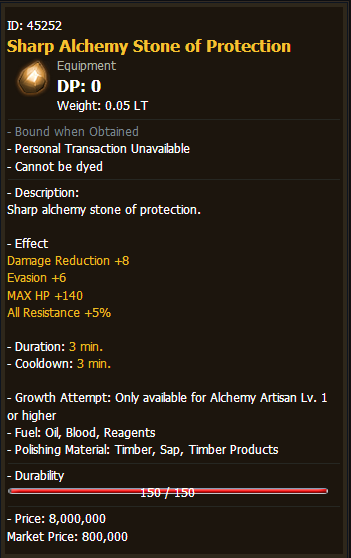 You want this stone for the acc , ignore resistance.... but the "most "important part for the yelow stone are the % buff ok attack or casting speed ( disregard the attack +). It doesent look to much but + addon buff its a decent amount. That's the stone that I mentioned. 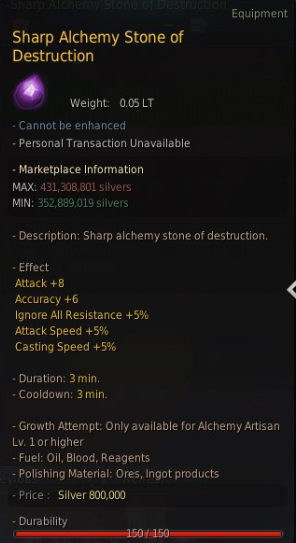 I was wondering if its worth the investment on a Maehwa with 228 AP whose prime focus is PVP. Alchemy stone is not in the same category as gems/crystals and the accuracy does not work in PVP. 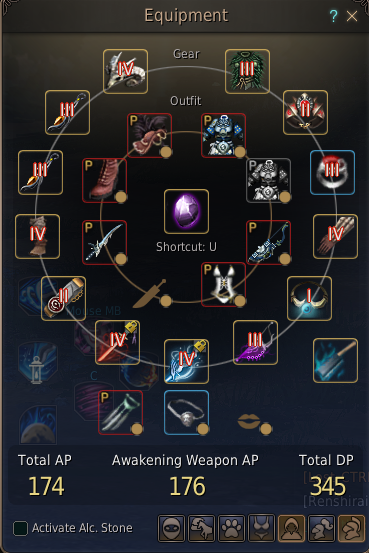 Eu has more evasion builds than NA ,so we ""need"" acc here as hell to one combo people , Ap monkeys for EU , not a good bussines at all. But as i said you dont want the sharp destruction on yellow cause of accuracy , you want it cause of +% to chain better combos. Performing DP +evasion builts for a maewha its an awfull idea cause for hold lines for PVP there are better options that fill that gap ( zerk .. warr... valk .. ), and a maewha on same gear will never fill the same gap than those. In terms of frames, 5% can be a lot. Thats closing the gap of vulnerability. But dont mind me, i'm just stacking dp. The more attack speed the better. Less vulnerability time. Less time to full combo. Less time spent per kill = more kills overall. Blue sharp is good alternative till you can afford the investment into a sharp yellow. I have a sturdy yellow myself and love the attack speed.